We had a FANTASTIC time on our vacation. It was much needed in so so so many ways. Usually coming home after vacation is a bit overwhelming. It actually wasn’t too bad this time, partially because 3 of our 4 kids when “home” with grandma and grandpa for a week, so we came one with 1 kid instead of 4! That said, I have a VERY long list of things I need to “get done” this week when I’m almost kiddless! I’ve come back refreshed, and I’m determined to let this be a “new start” to get caught up and a chance to start some good new habits that have been sorely needed around here! I don’t have all my pictures downloaded yet, but here are a few fun ones!!! 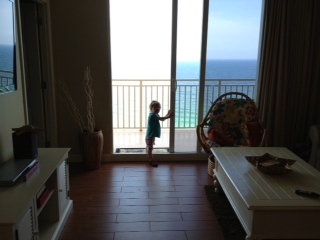 GOODNESS I miss the beach already!!!!! I wanna go back!!!!! Lacy and mommy!!! We went to this very cool restaurant that had dueling pianos… VERY fun! It was a BEAUTIFUL week… except for the first two days. 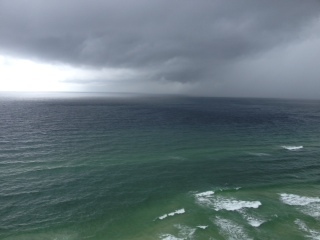 Seeing storms on the gulf was SUPER cool to look at though!!! My mermaids!!! 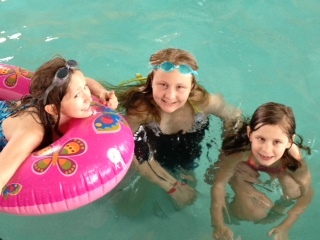 They LOVED swimming!!! She screamed when we first sat down… but got used to it!! 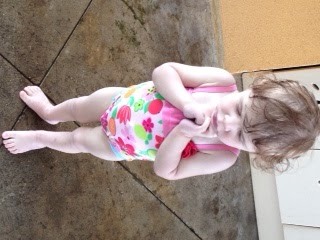 Precious praying Annabelle! 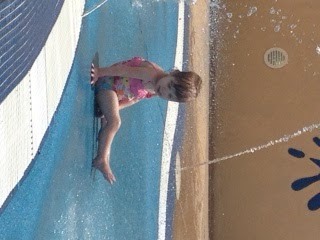 I'm so glad you had a great time in our little piece of heaven! great pictures especially of the one where Annabelle is praying! I hope that you have a great week this week at home getting caught up on things! Love the pictures! LOVE that you guys had such a great time. MUCH deserved!! We leave for FL tomorrow and we'll all so excited 🙂 Our first time there. So glad to hear you had a great time! I'm commenting to tell you thanks for your list of books from a few months back. I used that and chose 2 that I purchased and am taking on vacation to read. I love to read and I never get to so I can't wait!